Purple Drank is a slang term describing prescription-strength cough syrup, which is typically used in non-prescription manner. This non-prescription use makes it a recreational drug. Originating in Houston, Lean became popular in hip-hop community of southern United States in 1990s. It is known as Purple Drank since the codeine and promethazine combination syrup shows purple color. Purple Drank is essentially a prescription-strength cough syrup containing promethazine and codeine. The syrup is usually mixed with beverages like Mountain Dew and Sprite in high quantities and occasionally a Jolly Rancher. 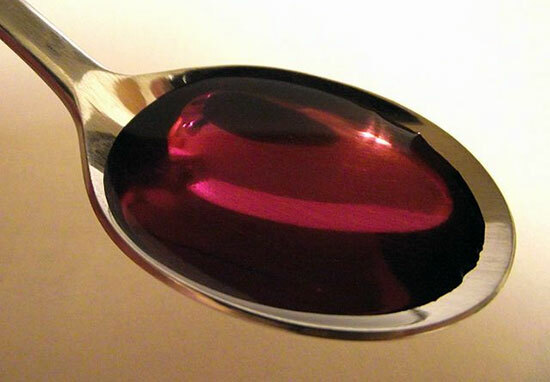 Amount of cough syrup is nearly 25 times more than prescribed dose. This concoction is usually consumed out of Styrofoam cups. Some of the street names associated with Purple Drank include Sizzurp, Barre, Drank, Lean, Syrup, dirty Sprite, Purple, Texas tea, Jelly, and Tsikuni. In 2004, a study by University of Texas revealed nearly 8.3% of secondary school students in state of Texas had consumed codeine syrup for getting high. Recognition of Purple Drank resulted the prices doubling in 2011 in comparison to Los Angeles prices. Purple Drank originated in Huston in 1960s when blues musicians started taking Robitussin mixed with beer. Later on, beer was substituted by wine coolers when it hit the market. This practice was lapped by generations of rappers who came after blues musicians, and were from same parts of the city. 1980s and 1990s saw changes in formulation and Robitussin being replaced with cough syrup having promethazine and codeine combination. This was cut with Jolly Ranchers and lemon-flavored soda. Until 1990s, Purple Drank remained a local Houston wonder until rapper DJ Screw produced several tunes which had mention of the drink. These mix tapes became popular in Houston. His songs signified Purple Drank and slow tempo of lyrics became his signature style, which eventually moved out of Houston. However, excessive use of Purple Drank led to tragic early demise of DJ Screw. This celebrity death resulted in Purple Drank becoming the focus of law enforcement agencies in Houston. DJ Screw popularized Purple Drank, which became the inspiration for “chopped and screwed” variety of hip-hop music. The Purple Drank first gained popularity in underground rap scene of Houston, and was being consumed from early 1960s through 1970s till early 1990s, according to musician Big Hawk. 1990s also saw Purple Drank spreading its wings and was reportedly being consumed in other southern States as well. In June 2000, Three 6 Mafia’s second single “Sippin’ on Some Syrup” brought Purple Drank into national prominence. A short reply to whether Lean is bad or not would be – Yes, lean is extremely bad. It has dangerous short and long-term side effects that leads to addiction and later death, as a result of overdosing. The long answer of side effects of Lean would be that this deadly concoction gets you a high by sacrificing your health and then your life as well. Lean comprises of liquid codeine (found in cough syrup) and promethazine which is mixed in Sprite and occasionally topped with a Jolly Rancher candy for flavor. The purple color, which the drink derives the name from, comes from cough syrup and provides an extreme euphoric feeling to its users, based on dosage. For many years now, rap artists have decorated and hyped the term “Purple Drank” in their lyrics and music. Rappers like DJ Screw and Pimp C were the leading celebrities who died from acute intake and toxicity of Purple Drank. There are tons of reasons why overdose of Lean can have fatal consequences. Codeine is an opiate and behaves similarly to morphine and heroin in the body. It is a harmless medication when used under medical supervision and as directed. However, some users report allergy with codeine. So monitoring body’s response to any new medicine, especially controlled substance is essential. Like codeine, promethazine is an antiemetic sold under Phenergan brand. Both codeine and promethazine are depressants of central nervous system (CNS). These slow down breathing along with other body functions. Rarely prescribed in unison, but if a doctor does prescribe it, then it is very minute dose and with great caution. Many users tend to lace this with alcohol or any other additional unknown substances, which can result in highly unpredictable and sometimes fatal consequences. Lean or Purple Drank results in neuroleptic malignant syndrome (NMS), a life-threatening neurological disorder along with hyperthermia; increased heartbeats; profuse sweating; confusion; stiff muscles; hazy or clouded thoughts, and seizures. In combination with other complications like asthma or sleep apnea, these side effects can become even more complicated. Lean also causes symptoms similar to heroin withdrawal, so enough caution is required when helping someone wean off of Purple Drank. Though addictive, it can be overcome with detoxification and medical help. Short term effects that are caused due to overindulgence of codeine/promethazine concoction start with itching, moving onto muscle stiffening; profuse sweating; blurred vision; slow breathing rate along with increased heart rate; seizures; hallucination; hyperthermia; slumping over and even death. Long term effects of abusing Lean include NMS; neurological damage; addiction/dependency, and even death. Withdrawal symptoms would include anxiousness; pain; nausea; vomiting; insomnia; diarrhea, and restless legs. One should be wary of clubbing of codeine/promethazine, soda as well as Jolly Ranchers. Purple Drank’s basic physiological effect is initially having euphoric feeling, followed by impairment of motor-skills; lethargy; drowsiness, and a very dis-associative feeling from entire body. Combination of cough syrup, soda and Jolly Ranchers brings a flavour and that feel stays on the tongue for extended duration and this feeling excites the first-time users of Lean. Otherwise, Lean is combined with alcohol and/or other drugs, a far deadlier combination that the previous one. Codeine in medicine provides pain relief and controls cough whereas promethazine serves as an anti-histamine and finds use in treating nausea and motion sickness. Promethazine also works as a sedative, though, when taken within prescribed limits, is safe. Problem starts when these are abused. Codeine is an opiate which becomes addictive when it is consumed in high doses, while promethazine intensifies codeine’s euphoric effect in the brain. Abuse of codeine can also cause breathing to stop in the user. The potential for severe consequences occurs when these are taken in combination. One of the most severe side effect of Purple Drank is death and it has consumed many personalities. Death in users of Purple Drank is a result of dose-related respiratory depression, and overdosing can result in cardiac or respiratory arrest. As with many CNS depressants, cutting Purple Drank with alcohol heightens risk of respiratory failure as well as other complications. Untimely deaths of DJ Screw in 2000, Big Moe, a protégé of DJ Screw in 2007 as a result of massive heart attack gave rise to speculations that Purple Drank had a hand in these deaths. Death of Texas rapper Pimp C in 2007 in California was also a result of codeine/promethazine effect as well as preexisting sleep apnea, and a probable mix of sleep apnea and suppressed breathing due to cough syrup proved fatal for Pimp C.
Promethazine/codeine syrup also had a role to play in arrest of several high-profile personalities. Year 2006 saw arrest of Terrence Kiel, a San Diego Chargers player, for possession of prescription cough syrup intended for further commercial sale. Kiel was charged with two counts of transporting controlled substance as well as three felony counts for possessing controlled substance for sale. Year 2008 saw Green Bay Packers player Johnny Jolly, being arrested after police officers found a bottle of Dr. Pepper and two Styrofoam cups containing ice and soda that emitted strong smell of codeine. He was sentenced to six years jail in 2011, though he is eligible for probation. In 2010, JaMarcus Russell was arrested from Albama for possessing codeine syrup without any prescription. He was arrested as part of undercover narcotics investigation. He was jailed and later released on bail. In 2013, rapper2 Chainz was arrested for reportedly possessing marijuana and promethazine. Apart from these high-profile arrests, rapper Lil Wayne was admitted to Intensive Care Unit of Cedars-Sinai Medical Center in 2013 in a critical condition after supposedly developing drug-induced seizures, though these have been disputed by the rapper himself. Many people would have said, “Don’t Drink this ……..” but we know that, it’s not just going to happen and people who want to drink will find ways and means to drink it, ways which is unknown to general public . Below are some pointers which one can read and decide for themselves while choosing right from the wrong. Before anyone gets into any drug habit, he/she should learn about various facts of these substances and not ignore health issues like sleep apnea or asthma, especially when using CNS depressants. Lil Wayne was hospitalized following seizures which was precipitated by overdosing on Lean. Codeine, an opiate, is one key ingredient in Lean and has addictive properties like morphine, heroin, OxyContin, or Vicodin when used in large quantities. It is coined as “Hip-hop’s new heroin”. Some famous users of Purple Drank included DJ Screw and Pimp C who died of overdose. While DJ Screw died of heart attack, Pimp C passed away from complications of sleep apnea. Sleep apnea is a serious disorder wherein one stops breathing while being asleep. Consuming Lean before going to sleep in people who have respiratory condition can have fatal consequences for the user. Combination of any street drugs, especially Lean and sleep apnea is a highly dangerous combination. 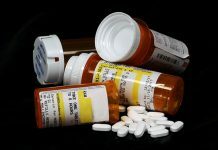 Though not as addictive as heroin, once a person becomes a codeine addict, there is not much difference between heroin and codeine withdrawal symptoms. Purple Drank’s two active ingredients are codeine and promethazine, which are CNS depressants and slows breathing which gives a sense of euphoria and good feeling, but can result in person stopping to breathe completely and die unexpectedly. Lean derives its name from the fact that user of Lean loses control over their body and tend to either slump or lean over. A 2006 survey reported that nearly 3.6% of eight-grade students had abused cough medicine and around 5.3% of high-school students amongst tenth graders and 5.5% among twelfth graders had abused Lean. Purple Drank/Lean can cause neuroleptic malignant syndrome, a life-threatening disease. Abuse of Purple Drank can result in symptoms like fever; stiffness in muscles; abnormal thinking; confusion; profuse sweating, and irregular or rapid heartbeat. Purple Drank, a promethazine and codeine combination, is usually taken along with Mountain Dew or Sprite, ice, and Jolly Rancher candies. Purple Drank is sipped until person gets euphoric and becomes dissociated from his body and starts getting a floating effect. The effect lasts for nearly three to six hours. This euphoria is called “swooning euphoria.” Purple Drank also has sedative effects and can make a person feel sleepy and dizzy. Side effects begin immediately after euphoria wears out with user’s pupils becoming constricted and not responding to light, voice becoming raspy and rough, has slurred and slow speech, droopy and uncontrolled eye movements, slowing heartrate, becomes drowsy and loss of coordination and balance. The user becomes pale, constipated and develops urinary tract infections, dental problems and becomes addicted. The addiction stays on until either the user fights and detoxifies and becomes sober or ends up dead.